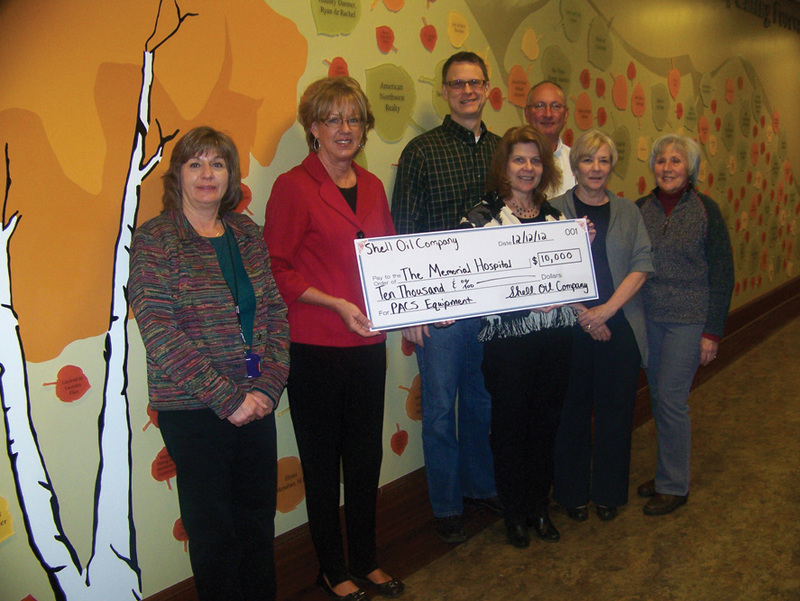 Shell donated $10,000 to The Memorial Hospital Foundation to help fund its new Picture Archiving and Communication System. Shell Exploration and Production Company recently donated $10,000 to The Memorial Hospital Foundation to support a new Picture Archiving and Communication System for the hospital. In the process of upgrading its current archiving system, a news release from the Foundation stated the new system would allow quick access to radiological images such as CT scans and X-Rays, creating improved transfer of those images to major hospitals concurrently with flight-for-life transfers. According to the release, Rohrich said the new system would strengthen their ability in providing accurate and timely diagnoses, improving patient care. As part of Shell’s commitment to funding community projects, the release said Shell focuses community investments with projects that align with the company’s operating principles such as safety, protection of air and water, reduction of its operating footprint and community support. Eva Peroulis, TMH Foundation Director, said in the release the PACS system has received funding from numerous organizations, including: $15,000 from the El Pomar Foundation, $25,000 from Peabody Twentymile Mining LLC, $10,000 from Trapper Mining Inc., $2,500 from Yates Petroleum and a $50,000 grant from the Caring for Colorado Foundation, all totaling $112,500.